Kristy is using Smore newsletters to spread the word online. Some say nuclear energy is a cheap alternative to coal. However, when you add in the capital cost, it is by far way more expensive than other types of energy such as solar and wind energy. 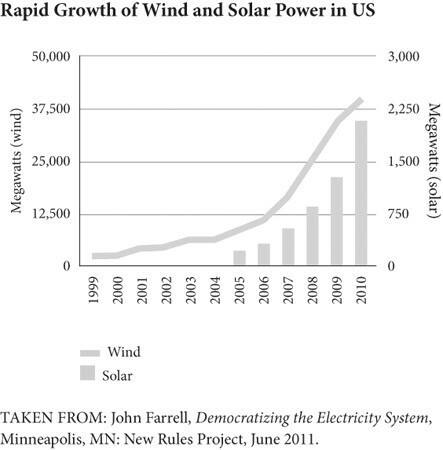 "And how can one possibly ignore the capital costs of arguably the most capital-intensive form of energy? Moore's statement is like saying "My house is incredibly cheap to live in, if I don't include the mortgage." 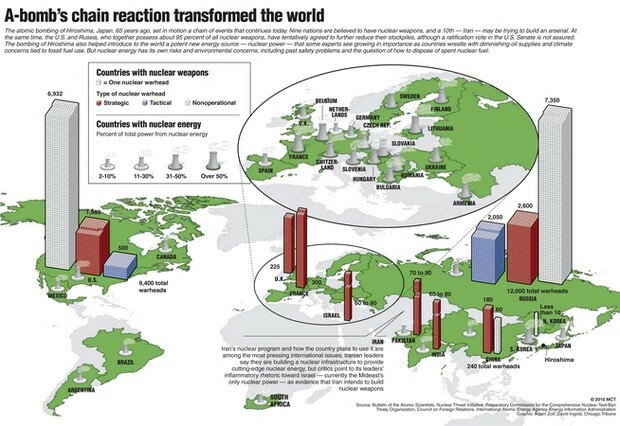 Nuclear power uses uranium. Uranium is highly expensive, estimating $100 per pound and constantly rising. Uranium must also be monitored at all times or else it can be highly destructive. Since 2007, the price of the materials and equipment that are needed for nuclear power have gone up 185%! Florida was recently thinking about opening a nuclear power plant, but just making it would cost a whopping 14 billion dollars! "Nuclear power is never "safe." Splitting atoms to produce heat, boil water, and generate electricity is an inherently dangerous activity. Splitting atoms can be made less dangerous, but it can never be "safe."" 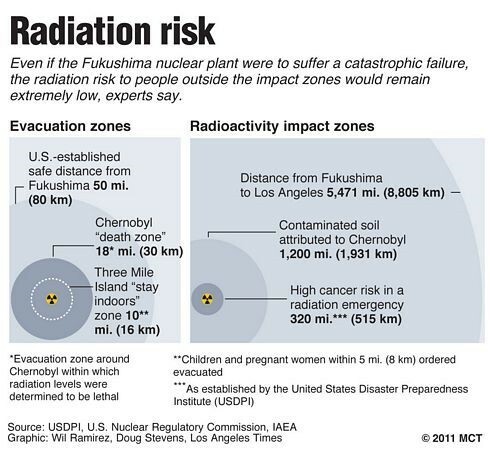 Fukushima and Chernobyl are examples that nuclear power can never be 100% safe. 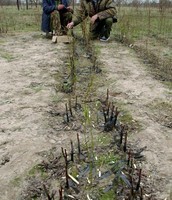 In Fukushima, they had every type of precaution imaginable, but the worst case scenario still proceeded. Radiation still escaped and was released into the air. 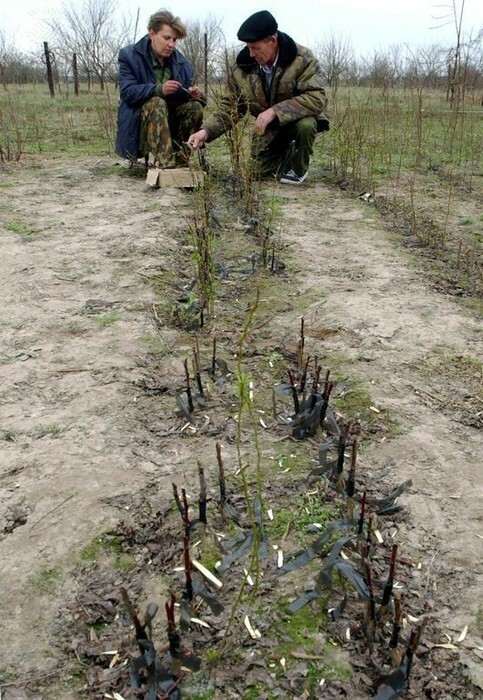 On another occasion, in Chernobyl there was a nuclear accident that caused consequences and suffering for many generations to come. This was caused by a flaw in the reactor design. The death and pain of many prove that one tiny mistake with nuclear power can cause a detrimental outcome. "There have been many disasters which have had devastating impacts on vulnerable populations, yet most of them have received less international recognition and sympathy than Fukushima." 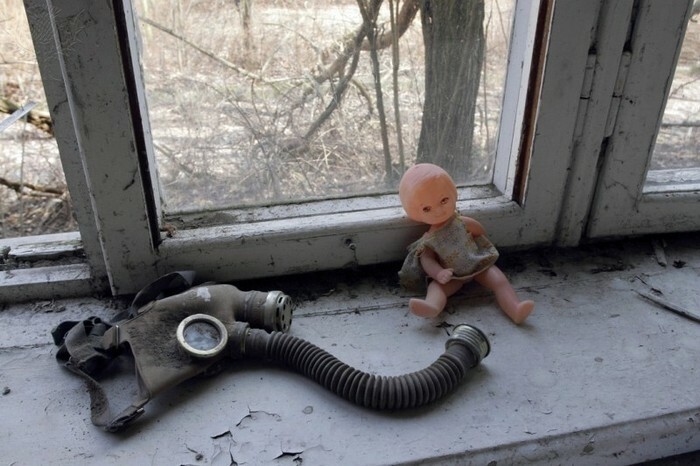 After the tragedy at Chernobyl, many people left their whole lifestyle behind. 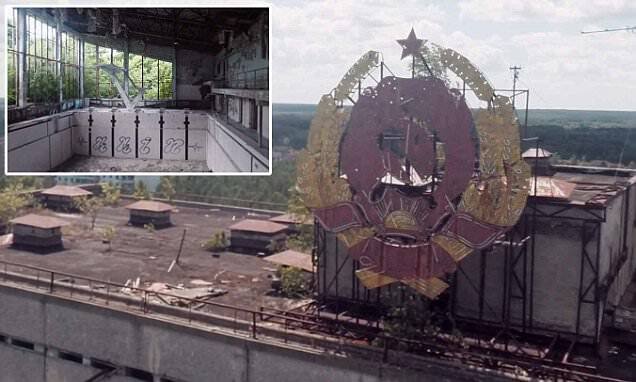 Through images from Chernobyl we get a look into how normal these people's lives were before the accident, but now they have been changed forever. When radiation caused by nuclear power gets into the environment, it is there for hundreds of thousands of years. It must be closely monitored at all times, and there's no guarantee the contaminated area will ever be safe again. After this nuclear disaster, generations of animals were left with horrible birth problems. 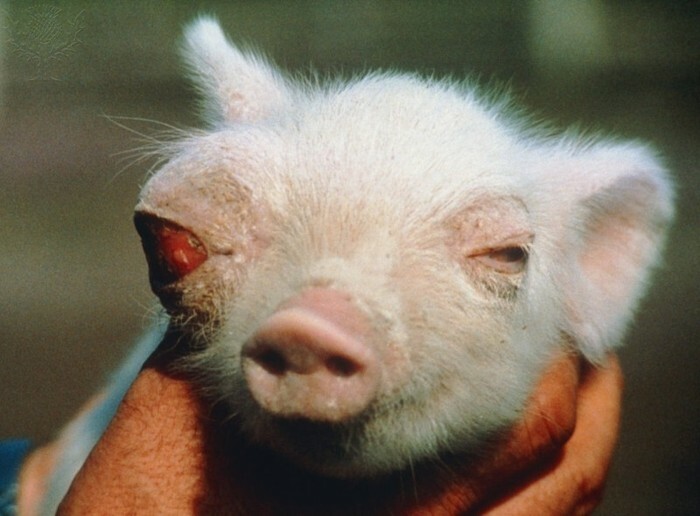 This pig was born with an extreme birth defect caused by being exposed to radiation. Devon-based documentary maker, Danny Cooke, has captured the city in decay by flying around the abandoned area using a DJI Phantom 2 quadcopter, a Canon 7D camera and a GoPro3+. 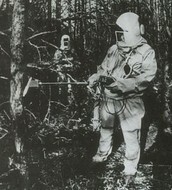 Ten days after Chernobyl, radiation began to spread throughout the area. 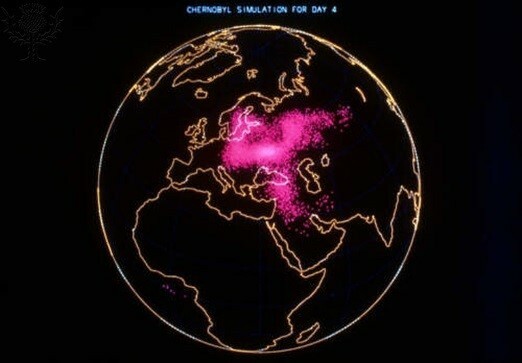 The pink represents the radiation. It spreads all through Russia and more. When just one country has a nuclear power disaster it soon affects everyone else. 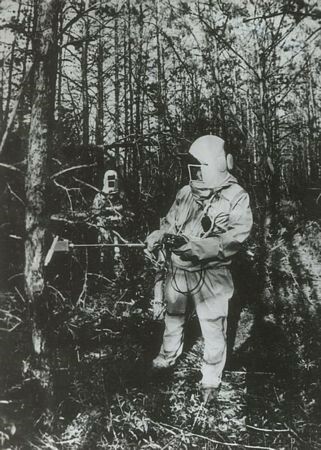 Men wearing suits to protect them from the high levels of radiation in the air. They are checking the level of radiation present. 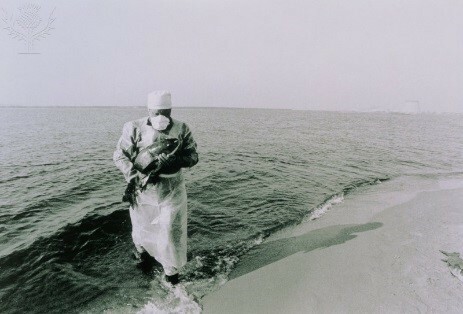 Without the suits it is unsafe to be in that area of Chernobyl. A man is saving fish from the unsafe water. The fish would have died or had serious birth defects with their offspring if they had not been saved. 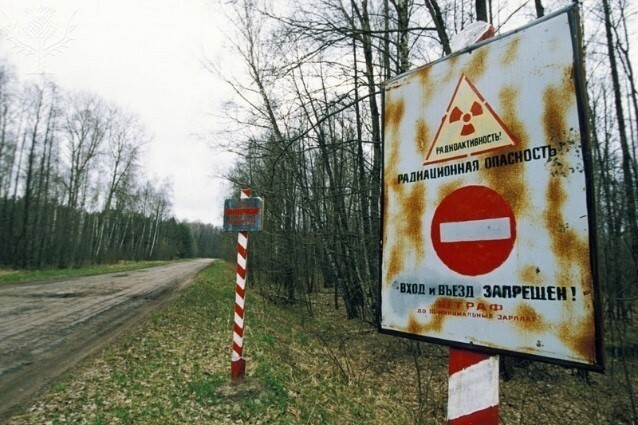 A sign in Chernobyl says not to enter the 30 km perimeter because the radiation levels are too unsafe for people to enter. Even after the radiation sits for years, it is still highly dangerous to living species. The whole reason we are contemplating different energy sources is because we know oil and gas are going to run out eventually. As stated by Pembina Institute: "Nuclear energy is no more a renewable energy source than oil or gas." This power also relies on uranium, which is a finite source and is already becoming scarce. Ideas of how to extract uranium have been proposed, but these ideas are highly undeveloped and most likely won't be effective. Nuclear power is also extremely hard to manage. There have been no successful long term managing plans for this energy source, and it must be stored for hundreds of thousands of years. Some have had the idea of reprocessing waste fuel. However this idea requires lots of construction and money. Canada has invested lots of time and money into their nuclear power plants, but the energy is estimated to only last about 40 years, because there are limited supplies. The next alternative is wind power. Alternative.org says, "Wind power is one of the most promising new energy sources." The wind energy capacity has enough energy to power 5 cities the size of Miami! Nuclear power is not a good idea to replace fossil fuels. 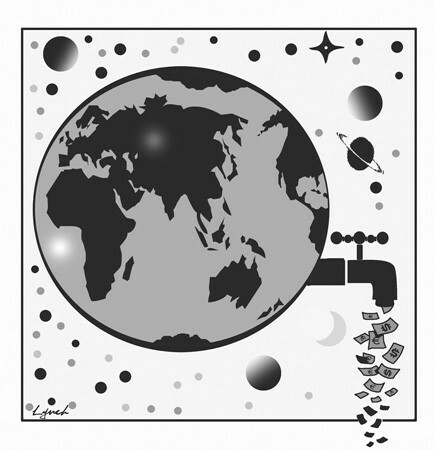 It is expensive, non renewable, unmanageable, and dangerous. There are many ways that nuclear energy can damage our world for centuries. 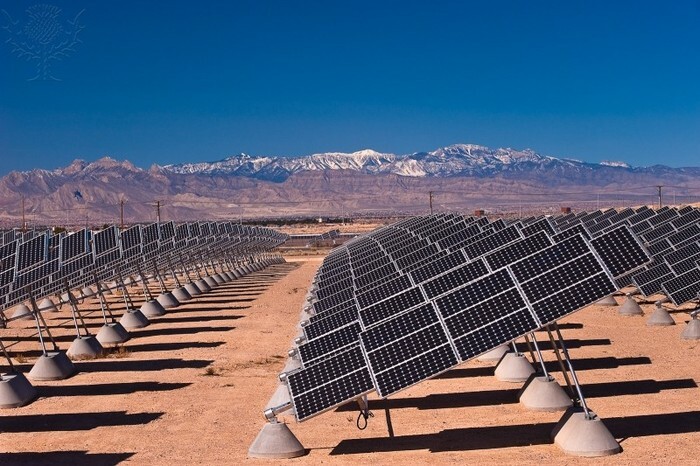 Solar and wind power are much more environmentally friendly, manageable and effective ways to create energy.